We've got your sartorial needs covered this season, but what about your barnet? Read on for all you need to know about men's hair trends for Spring/Summer 16. Read more men's Hair Features. With the first day of Spring only weeks away, it's time to start thinking about the trends that'll be emerging this Spring/Summer. With your wardrobe sorted, you'll want to start thinking about your hair too. From quiffs to side partings and fringes, we recon your hair matters just as much as what you're wearing so it's important to know which hair trends are up there. 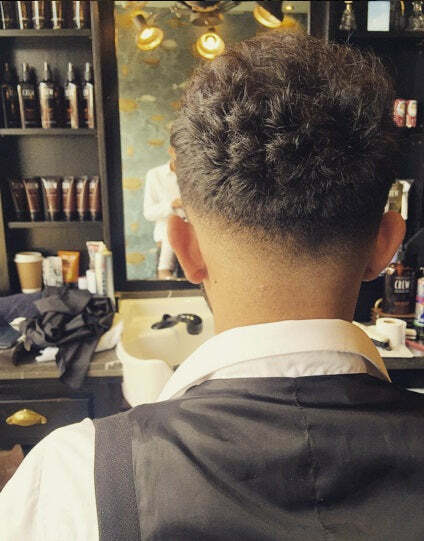 We caught up with Porter's Barbers to get the lowdown on this seasons hottest men's hair trends so you know what to ask for on your next trip to get your sideburns snipped and your tash trimmed. 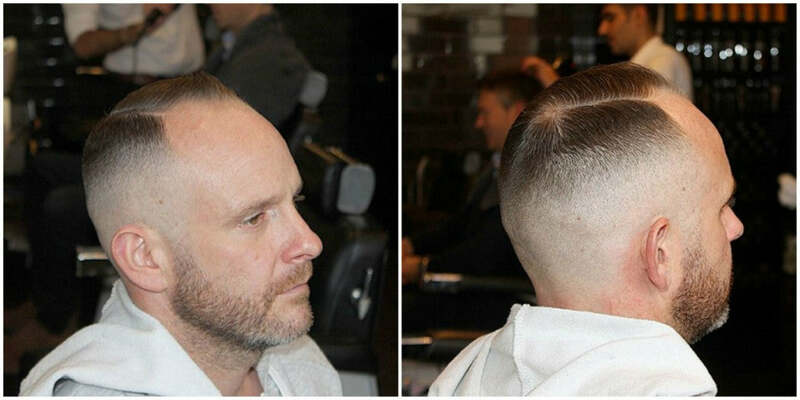 Just when you thought you'd seen all there was when it came to quiffs - they're back for SS16. The textured quiff is trending the catwalks but you'll be happy to know it's a much more low maintenance style than your traditional slick quiff. You'll need to still keep the sides and back of your hair short and the top longer than usual with a bit of texture cut into it. The key is to layer up on the products so start with a salt spray or Alternator spray by American Crew on towel dried hair. To hold the style in place apply a pea size amount of Layrite Cement and work it through the roots to the tip of the hair. Whilst drying try twisting the hair in sections, upwards away from your face. A timeless look, but still suitable for gents who have to rock a suit to the office every day. 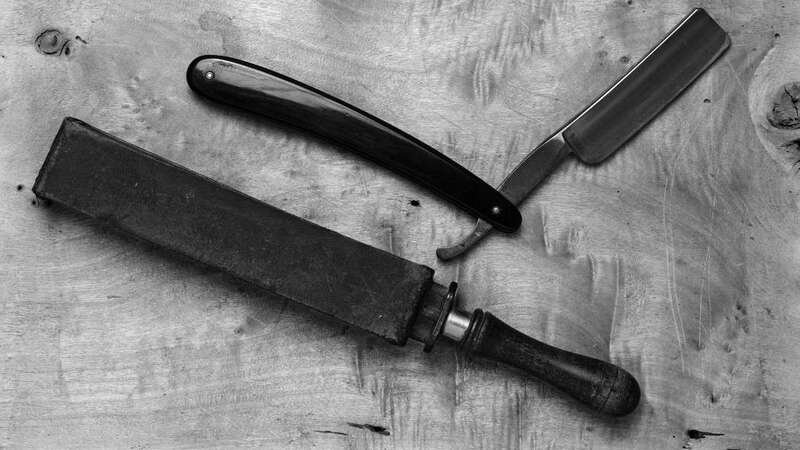 Your hair will naturally have a parting anyway and for gents it's usually a side part. Leave hair heavy on top but have the side with the parting taken in a little tighter. 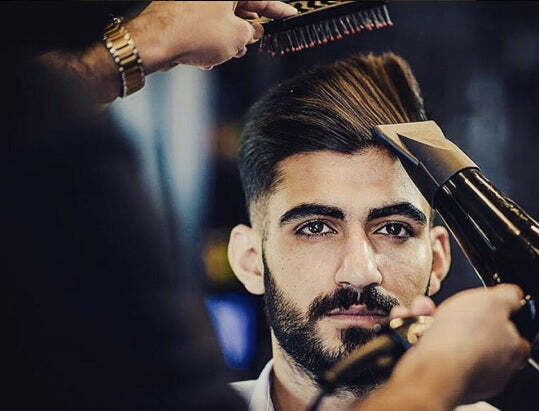 Use a round quiff brush and a hairdryer on medium heat to sweep the majority of the hair to the preferred side, then use a comb to add a straight parting and comb the hair back. Once its almost dry add a pea size amount of American Crew Defining Paste lightly on top keep the hair in place. It's finally time to embrace those natural curls. The longer the locks the better, as we've seen at Balenciaga's catwalk show. We would recommend keeping the locks long, so start styling with a base product on towel dried hair like American Crews Boost Cream followed by adding a little Grooming Cream to control any frizz and add a slight shine. Alternatively if you have straight hair then maybe the fringe is a better opinion for you. We recommend keeping the sides and back short - use clippers for more of a contrasting drastic style, or scissor cut for texture all around. Keeping the crown long and heavy is the key, combing it forward with a pea size amount of Uppercut Feather Weight should be enough to keep it in place. Texture needs to be cut into the fringe so when dried forward, hair should remain pretty flat but with natural movement.